How do I see what specific combinations of test inputs are covered by a set of tests? 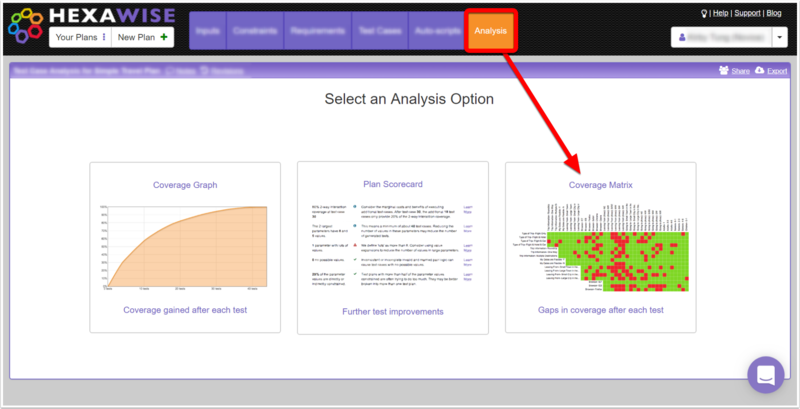 The Matrix Chart in the "Analysis" screen gives a combination-by-combination view of test coverage. No, you're not Neo, but this is like having super powers. Each square of the matrix chart represents a pair. If it is green: the pair is covered. If it is red: the pair is not covered. If it is black: the pair is marked as invalid. Slide your way to precise coverage! 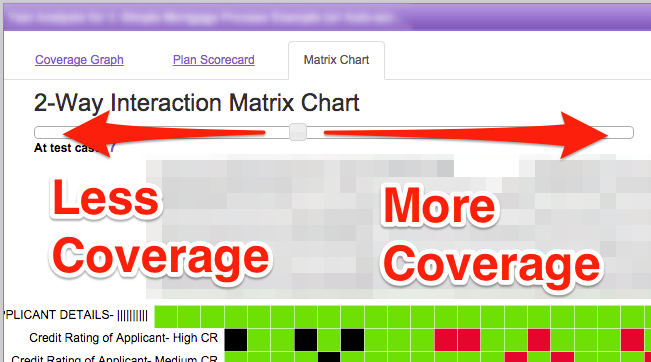 The slider at the top allows you to visualize which pairs are covered with each test. When you arrive at the Matrix Chart screen, you'll automatically see the chart cycle from Test 0 through Test n (the final test in your set). 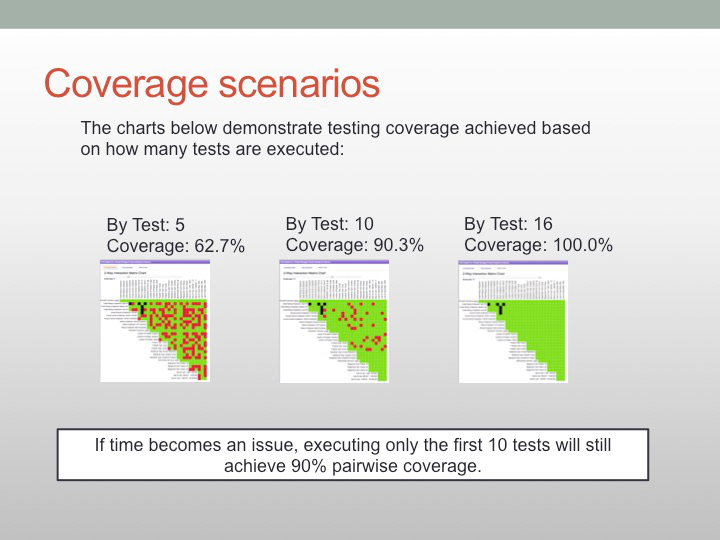 The slider will slide back to the test that achieves around 80% coverage. Can I see 3-way and higher interactions? 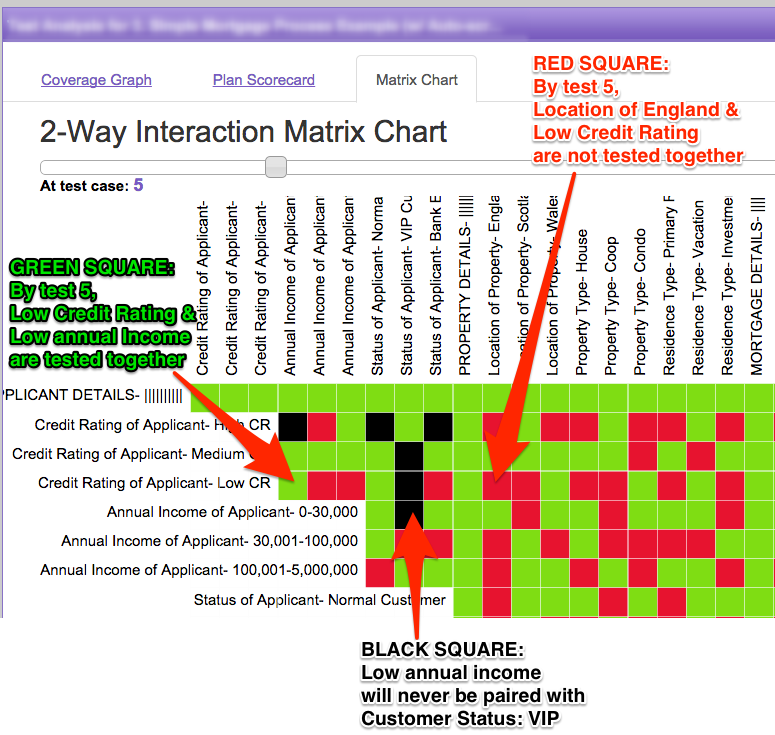 At this time, the Matrix Chart only supports demonstrating the pairs that are covered with each test. Are there other ways to see my testing coverage? Please see our other help file on the Coverage Graph here.